K-12 TLC Guide to the United Kingdom. K-12 TLC Guide to the British Monarchy. K-12 TLC Guide to the Commonwealth. Embassy of the United Kingdom in Washington DC. The Northern Ireland Tourist Board. U.S. Agency for International Development. Derry Visitor and Convention Bureau. Londonderry Named the UK City of Culture. K-12 TLC Case Study of the Northern Ireland Peace Process. Arts Council of Northern Ireland. 02/22/1972: IRA Bomb Kills 5 Women and Priest At British Military Barracks. 01/05/1976: Ten Protestant Men Dead in Northern Ireland Bus Ambush. An Exploration of the Northern Ireland Conflict. The Northern Ireland Conflict, 1968 to the Present: CAIN Web Service. 11/30/1995: Clinton First U.S. President to Visit Northern Ireland. The Siege of Londonderry (Apr 20 - Jul 30, 1689), History.com. 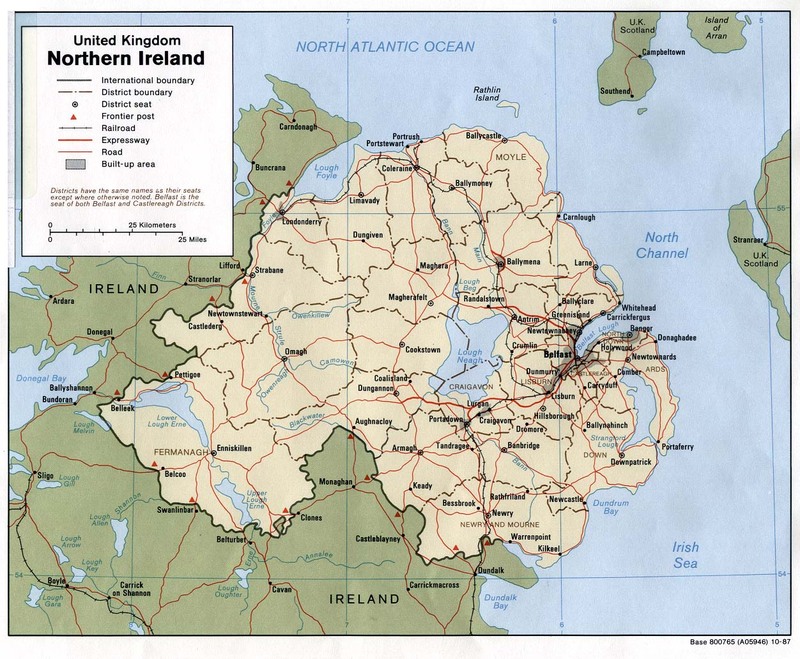 Maps of Northern Ireland, EmbassyWorld.com.